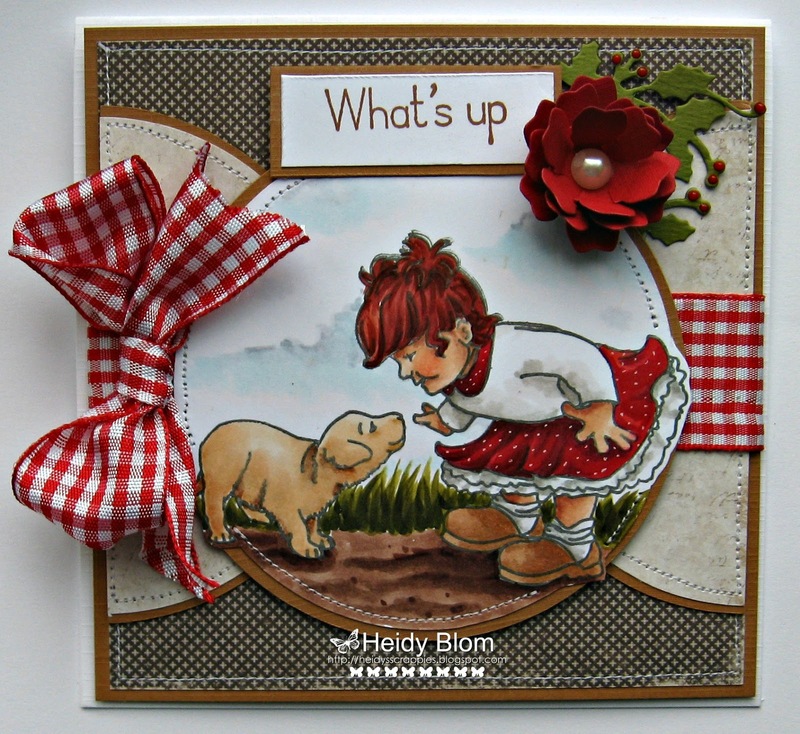 heidys,scrappies: Welcome to Day 1 of the Whimsy Stamps March rubber & die release! Welcome to Day 1 of the Whimsy Stamps March rubber & die release! Whimsy Stamps is releasing a fabulous selection of new rubber stamps, clear stamps, shapeology dies and papers this month. Today the Whimsy DT is kicking off the March release with a blog hop to share sneak peeks of some of the brand new Cathy Delanssay and Sandy Allnock stamps. 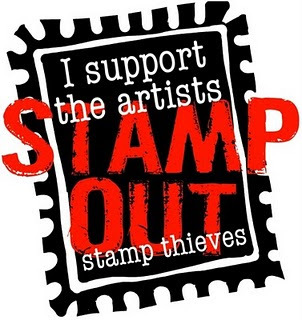 The entire new release will be available to buy from the Whimsy Stamps store on WEDNESDAY! For today’s card I inked up … Sandy Allnock's Elli and Maya "
Don’t forget to stop by the Whimsy Stamps blog tomorrow for our second day of sneak peeks. Sorry I 'm not visiting your blogs at the moment but Blogger said that I don't follow any blogs duh!! Keeping my fingers crossed that he will post this post!! Elli and Maya stamp is really cute!! Gelukkig dat het is gelukt. Had ik gisteren ook, dat ik niets op het blog kon zetten en gelukkig ging het vandaag wel. Vervelend is dat hoor!!! Ah, wat een bijzonder lief kaartje. Leuke digi en weer prachtig kleurwerk! Mooi kaartje zeg! Jouw kleurwerk is toch altijd weer super! Was für ein knuffiges Motiv und deine Koloration ist super,richtig schön. your card is so cute! Great Job! Awwww such a delightful image, coloured so beautifully and I love those papers too. I have been having problems with Blogger too, it's so annoying!! OMG...this image/scene reminds me of my niece and how she is with my doggy nephew! Just a sweet, sweet card. oh wow, this is so adorable Heidy, you coloured her perfectly as always! Oh, that is so sweet. Great job on the coloring of her too. Mooie kaart! Ben benieuwd wat ze elkaar te vertellen hebben. This is such an adorable image!! And I love the layout & colors you used!! Reminds me of how my toddler grandchildren react with our wiener dog!! This is so cute. Love the splashes of red. Her dotted skirt looks amazing. super kaartje en weer zo mooi gekleurd. So pretty! I love your coloring - nice! 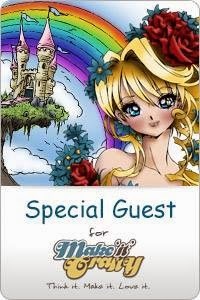 your card looks so great,the image and your colouring is really wonderful. Sweet card. I love that adorable image and you have coloured is wonderfully. Love the dotty skirt. How darling and so beautifully colored!! 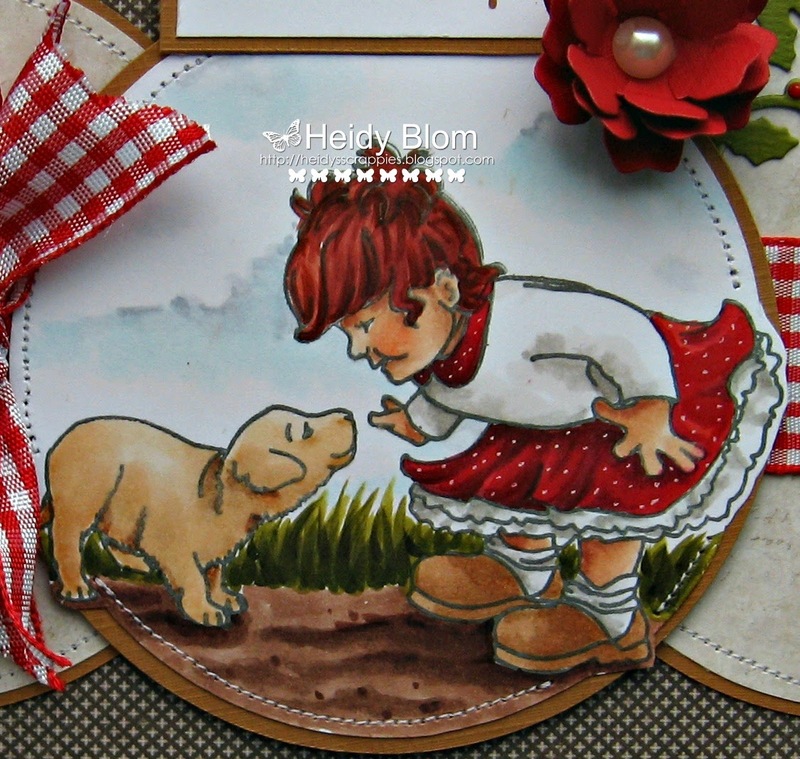 Gorgeous card, Heidy! Superb coloring of the sweet image! Blogger was doing the same thing to me, but I kept hitting refresh (like 20 times) and my whole list came back. Super cute card. Adorable image. What a fun image. Your card is terrific. So sweet great Colour Combo. Darling card! Love your fabulous coloring! This is sooooo precious! Great work! I'm having such fun hopping along with the Wee Stamp Blog Hop! Cute coloring and I like the gingham ribbon. Wow just look at those rich colors. Beautiful Heidy! Hugs! Beautiful card! Lovely details and coloring! AWWWW! I am a HUGE dog lover and adore this image! Your coloring skills are amazing - look at how realistic her dress looks!! WOW!